Q. How do I find textbooks for my subject in the Library? 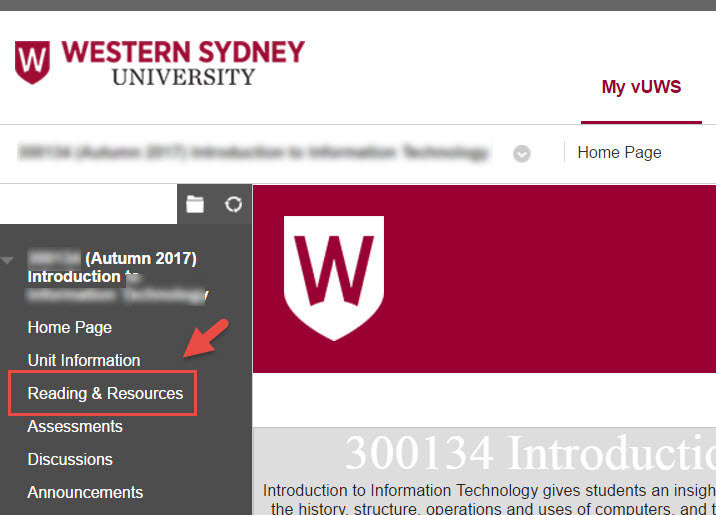 The prescribed textbook and other resources for each unit are listed in your unit outline, learning guide and under the Readings and Resources tab for each unit in vUWS. (A prescribed digital textbook for most level 1 units will be available to download from vUWS. The Library will also have print copies available for loan from the general and reserve collections). When you have the title, author and publication date you can use the Library Search Box to search for the textbook by entering the title. Most textbooks are available for purchase from the online Co-Op store.